We all know the famous Andy Warhall pop-art prints. 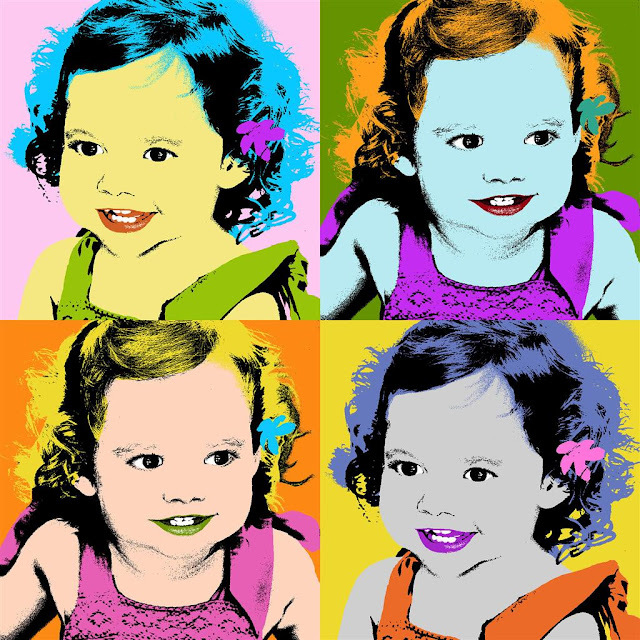 But what about this idea to have your kids or loved one in a pop-art print? These prints can be made for you on request from every image. For more information and prices e-mail here. Q. WHAT DO YOU THINK OF THIS IDEA? i LOVE it - i have a place i go to on-line that does this as well on canvas - i have pics done of my Niece - SUPER cute!!!! I think it's such a cute idea. That darling little girl has hair just like my little girl did. So cute! What a fun idea!!! I love this Warhol look.